Pioneers in the industry, we offer advocate cobra / court file and advocates file from India. 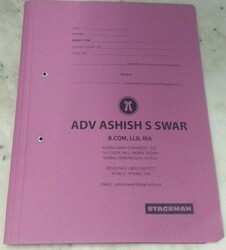 Specially designed Cobra file for Advocates for day to day hearing records. 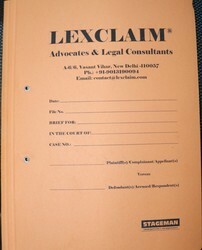 These are customized Advocate files, court case file, office file for office use. Get one personalized for your office. Looking for Cobra Files ?